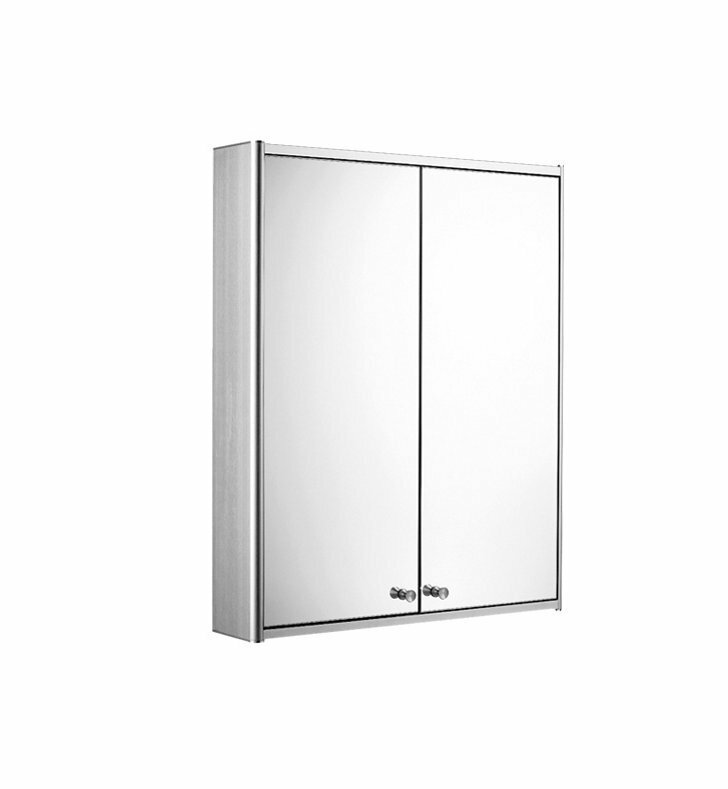 The Medicinehaus series is the perfect integration of storage and luxury for your bathroom. 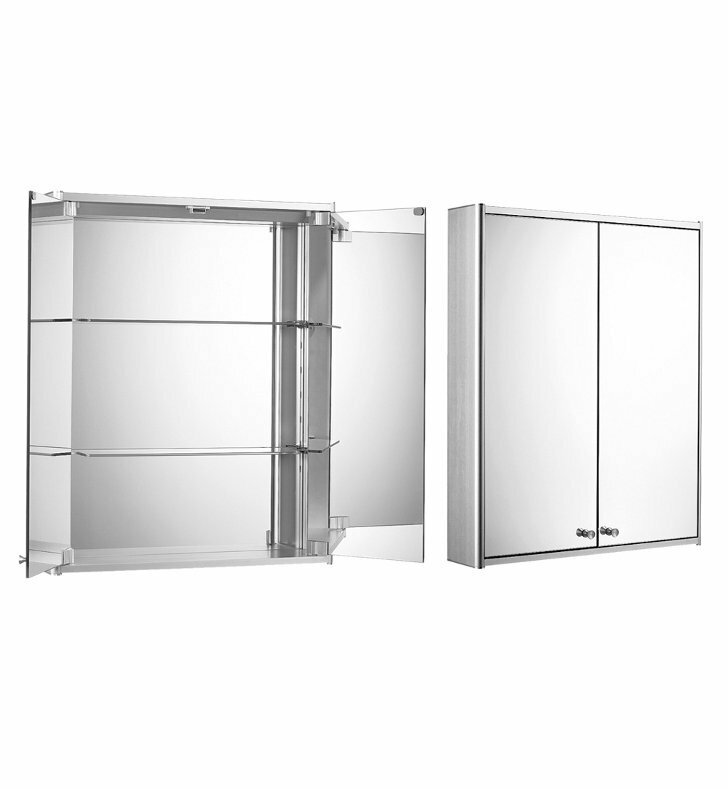 The WHCAR-42 double door medicine cabinet is made from anodized aluminum, which has numerous benefits. Anodized aluminum can’t be affected by ultraviolet rays and will never chip or peel. The maintenance of anodized aluminum is simple; cleaning the cabinet with soap and water is all that is needed to restore a dirty surface to its original appearance. Anodizing is a safe process for human health, so the cabinets are also eco-friendly, non-toxic and noncorrosive. The cabinet is also surface mounted, so it has the added benefit of an easy installation; it’s as simple as hanging a picture on the wall. Having a double-faced mirror door and a mirror-faced back wall provides you with reflections from every angle and customizable glass shelves let you change shelf height based on your needs. Dimensions: W 23 5/8" x H 27 1/2" x D 5 1/8"